SharePoint Foundation, part of Microsoft’s SharePoint 2010 and 2013 product lines, corresponds to Windows SharePoint Services 3.0 (WSS 3.0) in the earlier version of SharePoint. SharePoint Foundation hosting offers an intuitive user experience from desktop and mobile devices, including seamless integration with Microsoft Office. With no per user costs for Apps4Rent’s Foundation plans, you can enable large number of employees, customers, and business partners to work together with improved productivity. 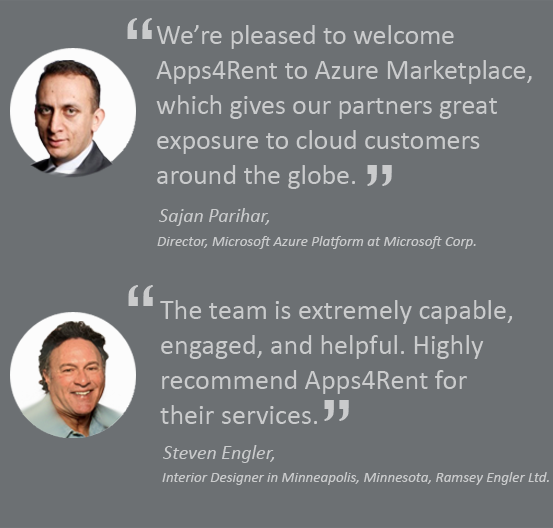 Apps4Rent currently offers hosted, dedicated, and farm plans for SharePoint Foundation. SharePoint 2010 includes improved features for everyone – users, developers, and IT staff – that ensure acceptance and proliferation of useful SharePoint applications within the enterprise. SharePoint Foundation 2010 and Sharepoint Server 2010 share many common sets of features that may be categorized under sites, communities, content, search, insights, and composites. A brief description of these categories appears below and for detailed list of features, see comparison of SharePoint Foundation 2010 vs SharePoint Server 2010. SharePoint Foundation 2010 Sites provides a single infrastructure platform for all your business Web sites, whether they are intranets, extranets, or internet facing. These sites are accessible through internet browsers, Microsoft Office software, and mobile devices. SharePoint 2010 Communities provide collaboration and communication tools such as blogs, wikis, workflows, and others that facilitate team work and sharing of ideas. SharePoint 2010 Foundation Content makes content management almost as easy as using Microsoft Office software. Nevertheless, under the hood, SharePoint 2010 includes comprehensive features for document management, records management, and web content management, with features such as document types, retention polices, and automatic content sorting. As your SharePoint site grows, finding relevant information quickly becomes valuable. SharePoint 2010 Foundation Search provides powerful search capability that can be used to search content, people, and data across an enterprise. SharePoint 2010 Insights gives the users the ability to extract information in databases, reports, and business applications. Through SharePoint Insights, corporate data is more widely available, encouraging smarter and quicker decision making within the enterprise. SharePoint 2010 Foundation Composites offers tools and components for creating do-it-yourself business solutions that can be developed with minimal programmer assistance. Collaboration is a breeze with SharePoint. Make your team more productive every day with powerful built-in features of SharePoint. See how a growing retail chain improved collaboration among its nationwide workforce with a SharePoint farm solution from Apps4Rent. Whether, you are an end-user, manager, or a software developer, you can depend on us to provide you reliable ready-to-go and custom SharePoint solutions that meet your needs. No competitor offers as many SharePoint hosting options as we do. We will support you with the latest SharePoint version or an earlier version if you prefer, in the Cloud as well as on-premises. Depending on your need for affordability, scale, flexibility, and control; a hosted, dedicated, or farm solution may be right for you. Apps4Rent offers you great prices, and a decade of deep experience in hosting SharePoint and other Microsoft applications. Let us help you today!